I got caught out! Here is what I learned the hard way about credit cards and interest charges on late payments. Mea culpa, through simply not paying attention, I was a day late paying the full balance. Of course, that means interest is charged and not just for the one or two days that payment was late but for the whole time since the purchase date up to the payment date. That hurts, especially considering the usurious interest rates (mine is 19.5%) charged by the card companies, but hey it was my fault. Note to lawmakers and regulators – why is it impossible to set up a pre-authorized chequing payment for the full card balance on the due date so that late payment charges cannot happen at all? When i signed up for the MBNA 0% introductory (18 months) it was pretty good. There was a minimum payment each month of $10 however one time i missed a payment by 1 day and the 0% ended obruptly and i was being charged the 19.9%. No one even called to let me know. I only found out on my next bill. I hate these companies. By law credit cards must have a thing called the “grace period” where the user of the credit card gets free interest rate during this time. Most people don’t know this but what’s worse is that people think that by paying the minimum amount that they are in good shape. Your credit rating and your pocketbook will suffer in the long term. Either manage your spending habits or lose the cards. Everyone who thinks about signing up for a credit card should always read the fine print and not just be excited about the low introductory offer. I have 3 credit cards and just received new terms that are spiking rates due to the new regulation coming soon. Do these rules apply to everyone or are new credit card owners fresh out of school hit with such drastic measures? My interest rate is 32% which i think is the maximum allowed in my province and still i get charged a yearly fee to have it. I will admit my credit score is pretty lousey and maybe is why my rate is so high. I can’t be bothered with credit cards anymore M1 (debit card) all the way for me. Someone recommended a movie called Maxed Out and it showed a nation in termoil and addiction to the plastic. People even committed suicide from too much debt. 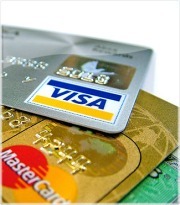 What is crazy is how credit cards will take your payments and apply them to the lowest interest rate balances first. That should be criminal since my payments should obviously pay down the highest interest portions of my card. This is typical for all credit cards. And people being people most are late in paying the banks back. And this is how business works.